Golden North Ice Cream is quality ice cream made with love in Laura, South Australia. Here are some important points important to many of our ice cream lovers. 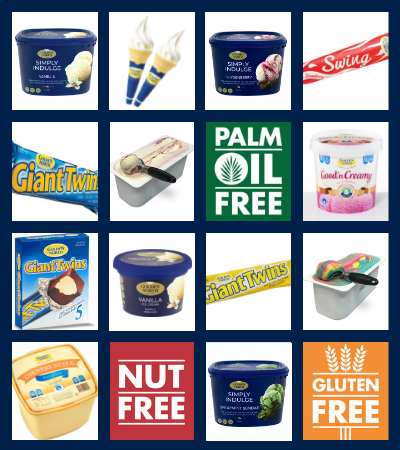 Did you know that almost every Golden North product is Gluten Free? For details, please see individual product pages. All Golden North ice cream is made with fresh milk and fresh cream. The milk comes direct from local dairy farms, ensuring that we use the freshest possible milk. And because of this, we don’t need wheat-based fillers! This all means you get the best possible quality ice cream. If you suffer from allergies, please check the individual products for important information..